I am a list kind of girl. To-do lists, shopping lists, menu plan lists, ideas lists, address lists… it goes on and on. Especially when I’m busy… and who isn’t busy during the holiday season, right? So, I decided to try and save myself some sanity and begin this crazy season a little more organized than I normally am. Enter the Holiday Hubbub Binder. Well, mine is actually a folder, but it has already saved me a few headaches. Or at least it’s kept all my scheming in one general place. 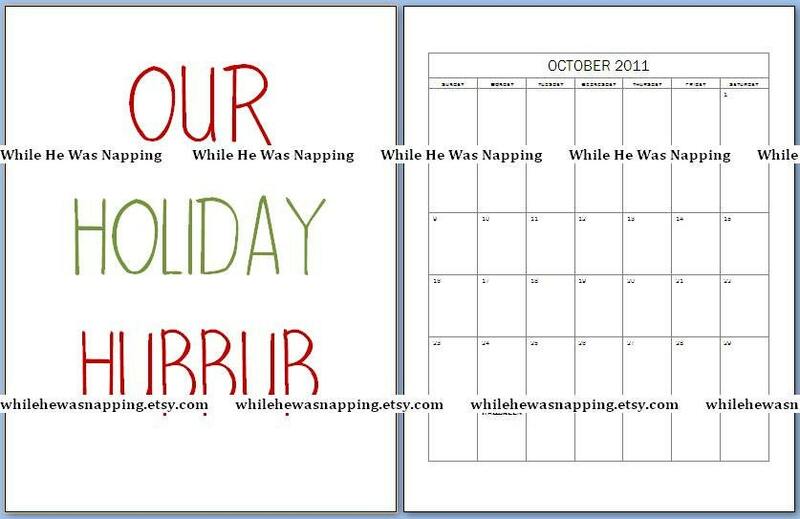 In my folder I have pages that I designed to help me organize my holiday planning. There are budget sheets, menu plan calendars, calendars for the everyday stuff, lists of gift ideas I’ve been collecting, addresses I need to send out holiday cards, lists of my family and their clothing sizes, hobbies and things they like. There’s even a page for me to write down things I want (in case My Mr Right should get stumped this gift giving season) and a place to keep receipts (in case anything needs to go back to the store). My folder contains 19 pages. And it’s been a lifesaver! If you would like the whole 18 page version of my organizer, it’s available HERE. 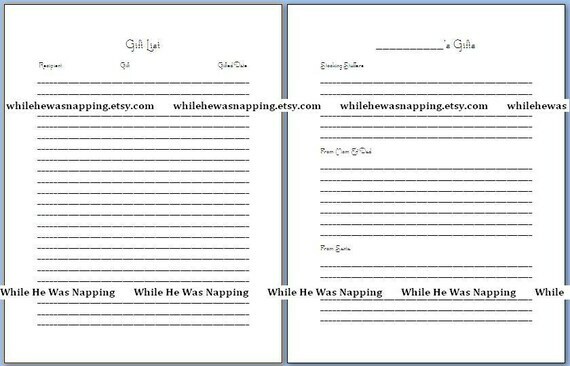 It’s a printable and I will email the file to you within 12 hours. It contains everything in the free version, plus a RECEIPTS page, a budget organizer page, wish list page, menu plan calendars, gift buying guide information sheet, and individual gift organizers. Happy Holidays, may they be organized and stress-free! Or at least a little more organized and a little less stressful. Oh my gosh! Thank You!!!! Every year I try to be organized during the holidays and every year I fall short. With this, I think it may be my year! Can’t wait to print it out, but I’m currently out of printer ink (buying new ink cartridge is on HIS honeydo list) But I am definately printing this soon! 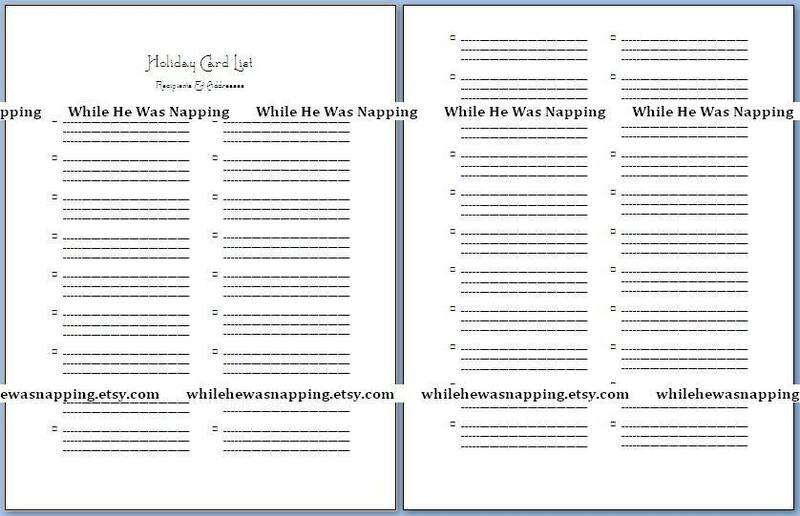 I love free printables and anything to help keep us organized is a plus! I would love for you to share this with other moms and link it up on my mommy resource and solution meme! What a great idea! Love the name. 🙂 I’m sharing this on my FB/Twitter!